Damn man sorry to hear, how did that happen?? and yea you should add stones,tire,farmer walks if u can. Last rep of last set of deep squats (weighted). The doctor said it was wear. My brother WarriorGeorge did this he went for his last set of squats it was 315lbs.till failure, he went till he couldn't got stuck in the bottom of the rep rather then just toss the weight and quit he took one hand off the bar and pushed off his leg the weight shifted to one end and he got badlly injured not sure exactly what it was but it was about 5months of hell for him he is better now.I wish you well warrior, rest up and don't make it any worse man. Some of the warriors now have the shirt to represent in. I guess its like the more scars the shirt got the more precious and respectful it is, right? PS: I find myself one day to need to move 2 air conditions brand new with their boxes 2 floors up from the stairs cause of no elevator at my dads house. The inside part of each was about 10 kg and like a hitting bag shape, so i just put it on shoulder and moved it up like it was nothing, cause it was nothing. The 1 outer part was like 33kg but u could catc hit from the strips and i moved it up slowly but steadly. The fcking last one was like 53kg and big as hell, couldnt lift it high enough to go up the stairs using the strips, couldnt do much with it, i finally used a weirdo way to move it up but it was fcking hard and weird. Of course the more battle wounds the better & that's great man.Strongman training builds great strength throughout the whole body, everything will increase man everything. You should structure and find a way to fit it into your current training. The hardest squat i know, the atlas stone front squat works the legs/core unlike anything else must have a high pain tolerance to brace your core as the stone pushes into your solarplex. 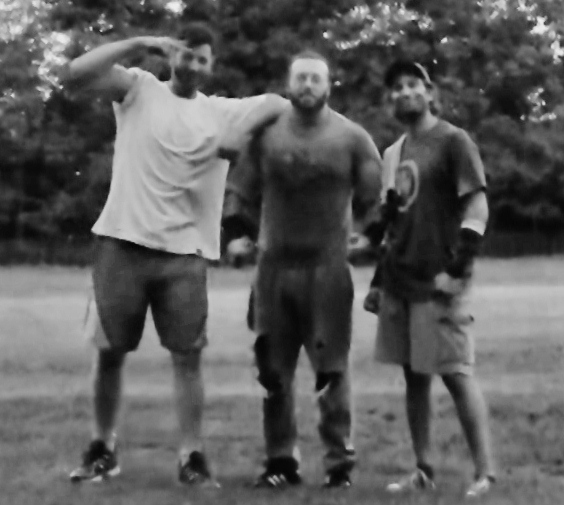 The last training day with WarriorJoe hes on the right.Gave him his shirt after the battle was over! Atlasthenics gains! 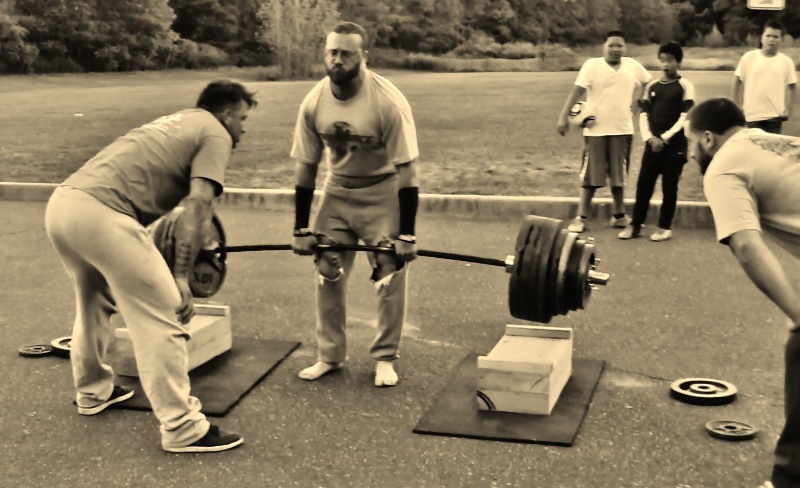 220lbs.+ I gained the weight threw explosive strongman/calis no bodybuilding so i kept the speed i would have lost. Warrior Anthony 235lbs. 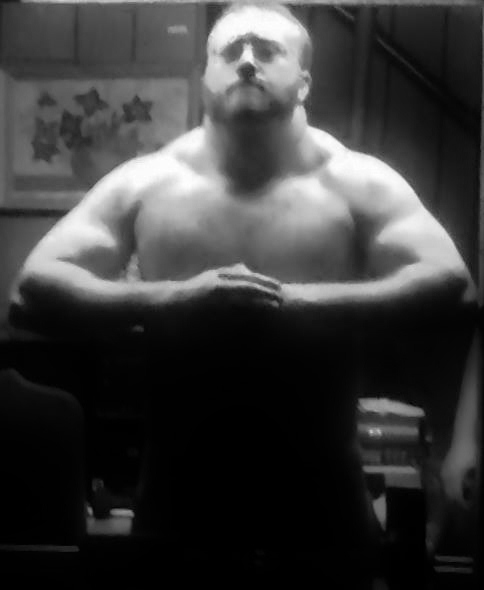 w/20"Arms built with no isolation work, he has a powerful calis base for a true heavy weight.Came from 150-235! Warrior George Bodyweight of 170lbs. but the power of a heavy weight! 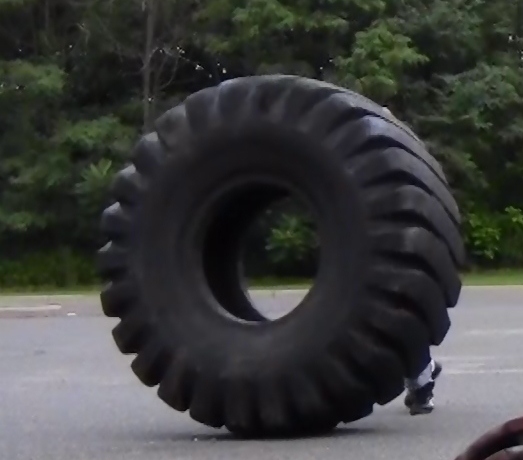 600lb.farmer walks supersetted with 800lb.tire flips x 10sets.This tire is enormous and feels heavier then 800.This is me at about 60% im very tired and having CNS burnout.Soon massive training begins,till then maintenance.Farmerwalks/tire flips together hit all muscles.Myforearms,traps,whole back,every part of my leg,core/serratus, everything is brutally sore i feel like i need a bodycast to stand up right.Then i go to work. 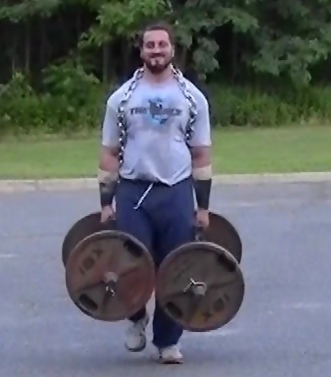 If you are looking for an immense bodyweight/muscle/strength gain go build or buy farmer walk handles asap & reach a new level it is well worth it.Soon i will be walking with 400lbs.per hand. geez loo it would be a workout and truck just to put your equipment in to get to training haha. good s**t man,keep it up. Hahah man u have no clue the effort i have to load up close to 1,000lbs. jump into a 4ft.deep trench and lift all the stones out of a out hidden spot underground, then flip & roll the enormous tires 200+ft. then do this in reverse when i have no energy left hands bleeding in the dark/alone sometimes hahaha this regular now though and the gains are worth it.Trainharddd!!! 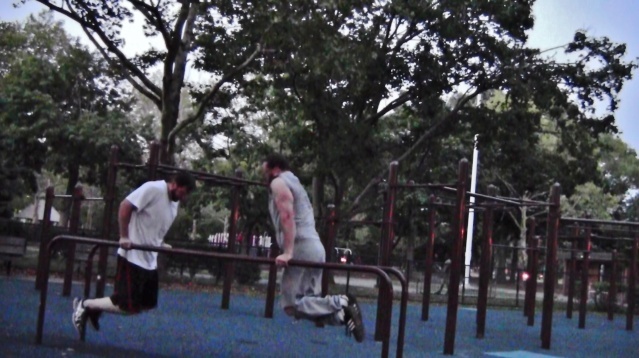 Calisthenics is a huge part of our training, and will always stay. 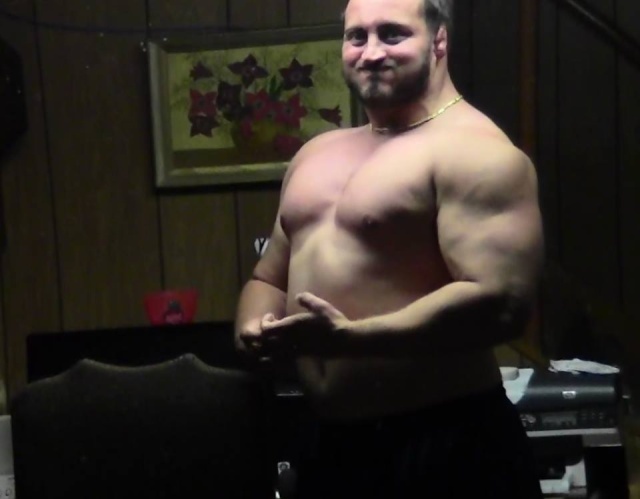 I want everyone here too see the massive transformation my brother Cory aka TITAN has made, so please read on. We trained for 3yrs. on and off mainly learning/teaching the basics dealing with issues ect he worked from the bottom up^ the hard way, with 1 of those years being consistent & with a shoulder injury here is the result. 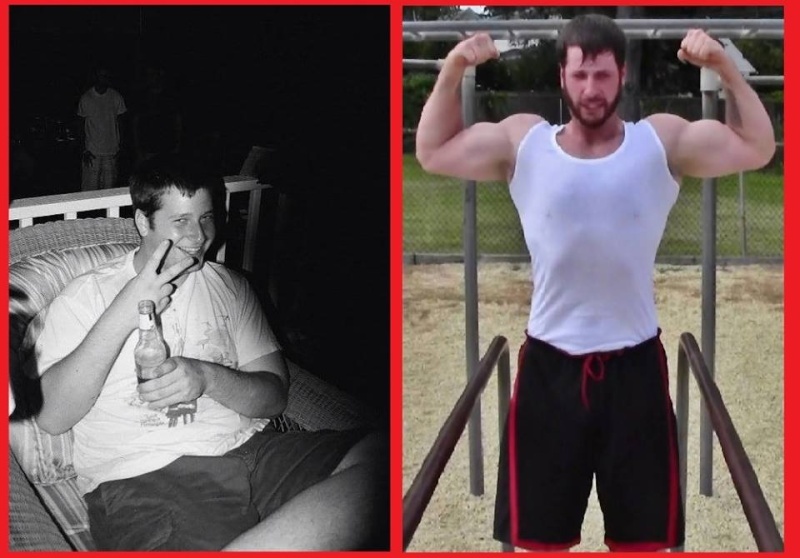 He transformed from 285lbs. out of shape unhealthy to 225lbs. 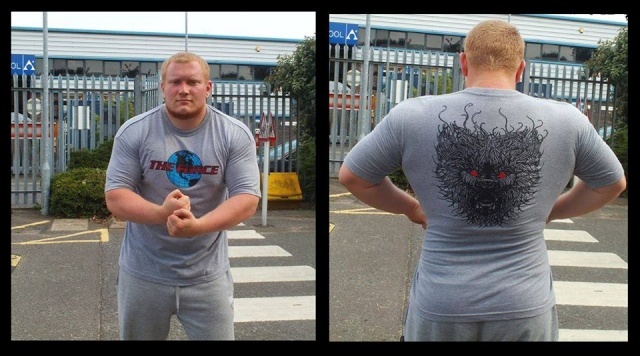 of BruteForce the Atlasthenics way of training that not many can endure! Their were many obstacles in his path both physical & mental, most he destroyed and some are left to be dealt with in time with a little more training. But i am very proud of his progress so far, and this is only the beginning there is much much much more to come. I make it very clear this is not just a workout, this is a lifestyle that leads to positivity in other areas also. With a body willing to move & a mind willing to learn the possibilities are endless - for this warrior & anyone else who tries so Never give up. I wish all great health,Trainharddd!!!!!!!!!! There is no gym membership fee, your payment is paid through blood & sweat for years. Where the strong survive STONEPARK!!! Keep inspiring us to push harder! You guys are warriors of another breed! Thanks my brothers we have much to work on. 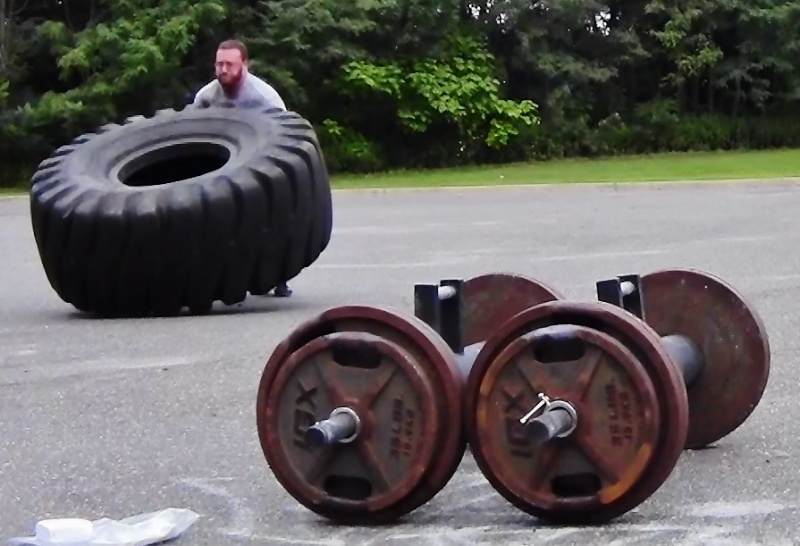 To come 600lb.-800lb.tire planks. Do what others don't to become what others won't.Think outside of the box that the box is in,keep searching,think harder,try harder.If someone calls you crazy, your doing the right thing. On The Block! New gains here @StonePark with these homemade dead lift blocks i built from building materials.This will build immense lockout power + over gains to the body. The bunch of kids watching thought we were super heroes haha. Thanks man, i try to teach all the young ones i come across a healthier path & still have fun for them which is important. Thanks man,im open to help all who are serious & keep an open mind to learn from all. This is not my video this is my friend warrior Michael's video that he made he is the one training with us in this video. Had the beautiful opportunity to head out to Stone Park and meet up with some fellow warrior souls, Iron Lou and Anthony, members from "The Force". 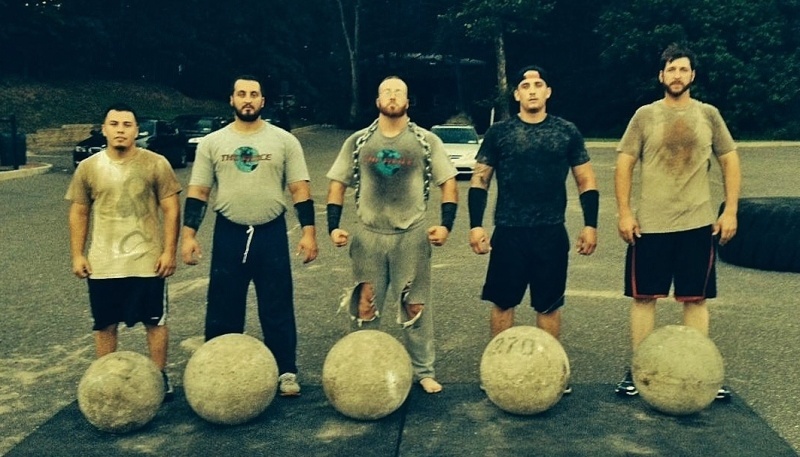 These guys truly are the essence of a warrior and it was a pleasure going savage on all of the weights, stones, tires, and every other heavy object we picked up and placed back down. 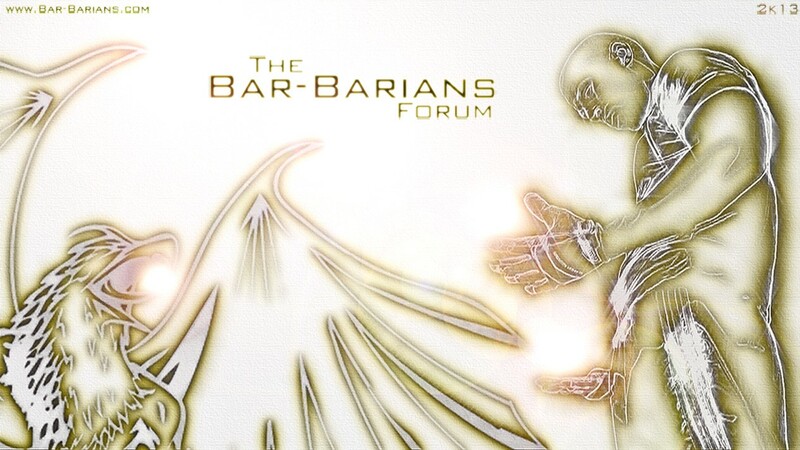 Im sure to return in the near future for some more barbaric training. Total = 400lbs. Pullup. That's my body weight of 220lbs.+ 180lbs.weight plates = 400lbs. This is without touching any heavy pullups in over a year, with an injured left arm, and with no warmup. This is my base strength soon 90kg then 100kg. 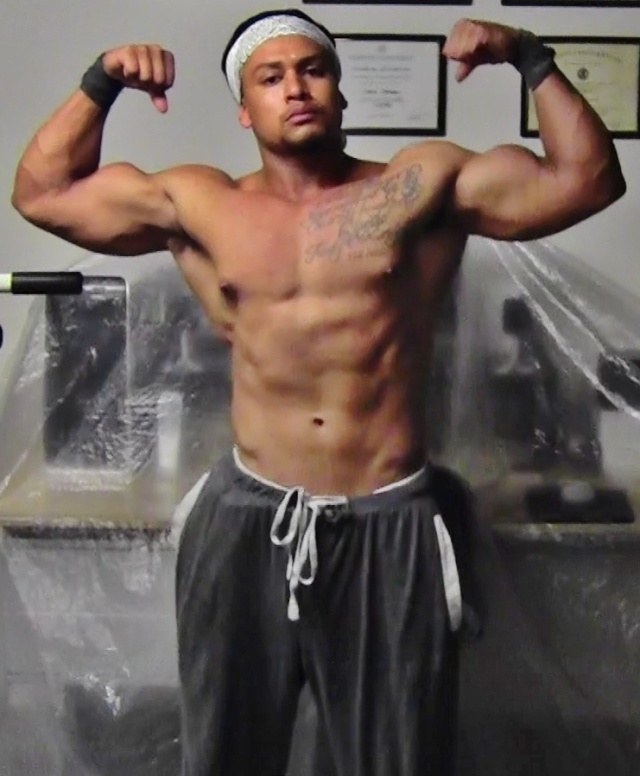 These are gains from Atlasthenics style of training!Trainharddd Warriors & never give up!! !